Yes please buy one get one!!! I filled up the information still didn’t get a text yet. But 1, get one FREE. 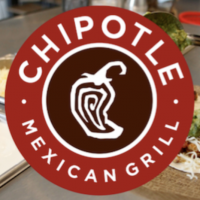 Chipotle my favorite place and is the BEST restaurant and healthy . Yes please buy 1 get one free .thank you very much. I never got no coupon just some txt about the alerts. Hi Shawnell! The coupon is within the text message… just click the link. Check again! How do I get this? Thank you!